As a startup outsourcing company, we have a long history of working and catering startup IT services as tech partners with several tech startups transition from an idea through funding to a successful product. With our unique agile delivery approach, tech talent and outsourced product/software development for startups experience, we have launched more than 100 products for startups and have done software development for start companies! Stumbled upon a great idea? We as a startup product development company helps you define and devise a plan to get MVP out the market in 6-12 weeks. Mobisoft is a global technology services company offering a full range of product life-cycle services to businesses in emerging technology segments .The focus is not just MVP but finding a way to achieve scalability and framing everything in the context for the long term. Growth hacking through customer satisfactions, retention, conversion & Innovation by data driven implementation. The ultimate goal of startup IT services provider is to build right thing that solves primary problem and identify product market fit as early as possible by wisely investing time and money. Comprehensive product engineering services to build, improve and scale product that truly cover entire product life cycle. Helping startups to re-engineer and optimize products by assessing existing application, pain areas, and future business goals. Offer value-added technology & business consultation to the startups to reduce the risks and increase the chances of success. Our startup development outsourcing company genuinely love to take the journey with startups, as we have also ventured with client in 10+ startups ourselves. We are prepared to invest a part of the services fee and to demonstrate our commitment and share ownership in the entire startup journey. We understand the startups inside out, as were startup too. We strive to build products for startups and be a part of their success story. Experience matters. We have the experience of building more than 100 startup products over 8 years. This helped our experienced team to understand the nitty-gritty of product and add the value. We have worked closely as technology partners with startup founders across verticals like healthcare, social, education, gaming and many more. We believe that to develop a world-class product, you need right team of experts. Our entire team consists of experienced engineers, designers and analyst is passionate to build true rational product. We have right skills and the scale to build your product in fast iterative manner. With a team of 200 people, Mobisoft has the right size to serve you. Often startups face financial limitations during their initial years, they need to find out alternatives to wisely use their limited monetary resource. Our unique onshore & India based offshore development center helps save your money on the resources, office space, set up & other employee liabilities. We understand the challenges associated with working with startups, including, evolving specifications, requirements for agility, long and odd working hours and expertise in cutting edge technology. We believe in holding long relationships. We provide dedicated maintenance & support to keep your business up and running. For some of the startups, we started working at an early stage and we are still working with them. We offer one stop solution for your technology needs right from idea validation, business analysis, design, and development to testing, deployment, product support & digital marketing. Not just MVPs but we can help you build a real solution that can actually scale on demand. We have the experience to create the UX that “just works” and then deploy it on top of cloud that can be maintained and scaled easily. We love the challenges, and we try to go beyond the bound script to innovate and deliver. Innovation is not just a byword, but a daily practice for the team in every aspect - UX, Development or DevOps. Right from making custom tablets to integrating IoT (Internet of Things) device with mobile applications, we have done it all! All work is delivered by our in-house team of experts to ensure we have absolute control over communication, development techniques and quality. Right from UX design, to development and QA to launch, deployment and marketing, we give you all the services in house. So you don’t have to juggle between multiple solution providers but rather can focus on your vision to build a great product as fast as possible. Real challenges start once your product goes live, you need a team to support you in managing security, uptime & scaling. Our 24/7 DevOps team provides peace of mind to you and stability to your operations. You get a UX designer, an architect, experienced programmers, QAs & other experts. Also a product Manager to ensure synergy and direction. Throughout the life cycle of the product, we ensure it gets right attention from right people required at each stage. Development of software solutions for startup needs speed, agility and deep architectural know-how from their partners. We bring that flexibility & competency to rapidly realize market-potential and growth. Our team of varied skill set experts work exclusively on your product closely with other stakeholders to build software solutions for startup with a quick turnaround time teamed with an Agile approach. We apply lean principles to outsourced product/software development for startups. Our focus is on feature evaluation, lean product roll-out, quick iterations and continuous improvement. Our Startup product development work culture encompasses agile, lean & collaborative projects resulting in effective product scoping, faster delivery & quick to market. Development process which stresses on tests first. Test Automation & Quality Assurance ensures sustainable code & error-free applications with every release. New features are released constantly. Our processes are geared up for continuous integration and delivery ensuring speedy releases. 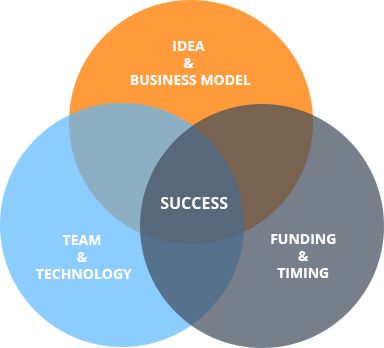 We offer flexible engagement models to meet diverse needs of global startups. Our core focus is on the customer’s innate needs like: fast delivery, low cost, high quality, resource flexibility & support.